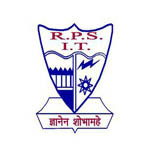 RP Sharma Institute of Technology was established in the year 1980 in the name of Patna Institute of Technology by Patna Educational Development Trust. The institute was later renamed as R. P. Sharma Institute of Technology in the memory of its great founder Late R. P. Sharma. Institute is affiliated to Magadh University, Bodh Gaya and approved by AICTE- All India Council of Technical Education. College has recognized by Department of Science and Technology, Government of Bihar. RP Sharma Institute of Technology is situated on Danapur – Khagaul road at Mustafapur town in Patna district of Bihar. College located in open airy, green and calm environment near from Danapur railway station. The campus is 12 km away from the Patna Railway Station and 8 km away from the Patna Airport. The campus is offering around 660 as the annual intake capacity in all departments. The campus has well-equipped laboratories, workshop, spacious classrooms, rich library, computer centre connected with internet, seminar hall, canteen, cafeteria, transportation and separate hostel for boys and girls. The students of this college celebrates engineering day, technical festival and fresher party. The college encourages them with various extra and co-curricular activities.